Application: X-frame holding display screen which can be easily set up and change the screens yourself, suitable for exhibitions or as in-store POS. 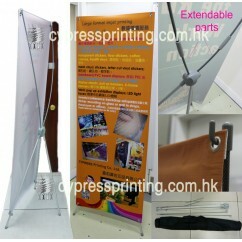 Product Features: * Frame is made of light weight plastic * Printed on INDOOR PVC sheet.. 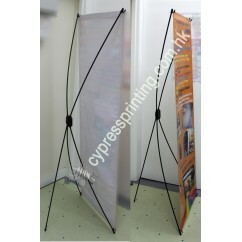 Product Features: * Frame is made of quality aluminum legs and fibre poles. * 1 stand can f..